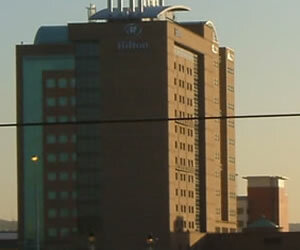 Located close to the banks of the River Lagan, the Hilton is located beside Belfast concert hall, the Waterfront. The Hilton brand in famous and to most people spells luxury. The hotel offers rooms from standard king guest rooms through to king executive suite and include TV, a safe, tea and coffee facilities and Wi-Fi. The Hilton Belfast offers restaurant dining and bar facilities onsite but being so close to the City Centre, you won't be stuck.